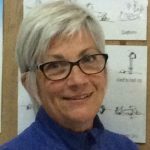 Helen has a degree in Early Childhood Education and has worked in preschools and primary schools for over 30 years. She first became interested in Move To Learn as she was searching for answers to questions about the efficacy of intervention programs for many intelligent children not achieving positive learning outcomes in schools. In her teaching she focuses on sensory integration and the Move To Learn program plays an important role in both her preschool practice and K-2 movement programs. 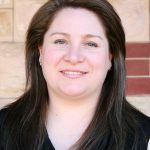 Her interest in the link between primitive reflexes, brain development and learning outcomes has also led her to study Extra Lesson and train as an iLS practitioner. Helen is hoping to achieve Move To Learn practitioner status by the end of 2018. Jess is a Chiropractor with a focus on functional neurodevelopment to enable children (and adults!) to function at the highest level that they possibly can! She is currently completing a 2-year Diplomate of Functional Neuro-Development in Chiropractic Paediatrics. Working with a large volume of children, Jess had a few parents mention the Move to Learn program and this drove her to learn more about it. Being similar to many movements that entwined with her work as a chiropractor in engaging change to the brain, the desire to use the program to work with many children at once through the school system became a reality with the Move to Learn work. Jess aims to help people learn about their brains in order to get the most out the environment they immerse themselves in. A big part of this includes education about how we are shaped by the sensory experiences we are exposed to, and how the top down processing of our brain enables us to navigate our space as it best sees fit. The more we can make sense of the world around us, the richer and fuller our expression, engagement and development becomes. Nadia is a working mother of three children all of whom had or still have developmental and sensory processing issues. Nadia was taken on her own learning journey as she helped each child work through their individual problems. Inspired by this personal experience, Nadia has developed a passion for helping children with learning difficulties and strives to increase community awareness of the brain and body connection. Nadia is a provider of the Listening Program, is a Certified Provider of ‘Move to Learn’ and a soon to be provider of ‘Rhythmic Movement’. Laurie is a Personal Trainer, developing programs for individuals, small groups and delivering the Move to Learn program. 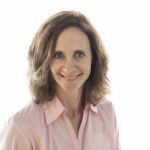 Laurie initially qualified in fitness training in Canada in the 1980’s where she worked with the elderly, people with a disability and facilitated group strength training classes. In the 1990’s Laurie and her family moved to New Zealand and then on the East Coast of Australia before settling in Perth in 2005. After working in an office management position for many years Laurie came to realise that her real passion was with assisting people with their health and fitness. In 2009 she requalified as a Personal Trainer and has had her own business training and motivating people of all ages and levels of fitness including clients with autism, managing the outcomes of a stroke or arthritis. Laurie has taken a number of specialised courses including – Functional Ageing and Exercise, Pilates, Core Foundations, myofascial lines and other training courses including the Move to Learn program that will assist her varied clients. 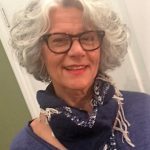 When Laurie learned of the Move to Learn Program and the 10 Gems movements, she knew that they complemented all fitness programs, and should be the foundation of fitness programs for people of any age. By incorporating them with multi-component strength training, mobility, endurance and flexibility training, core and breathing exercises, the 10 Gems movements help to stimulate the brain, keep you cognitively sharp and help to move you from your early years and through life with confidence and independence. Laurie is a Move to Learn Trainer in Perth WA and is working with children and the elderly with the MTL program and fitness. Laurie believes fitness is for everyone and wants you to enjoy your training, have fun and feel the benefits. Elise was born and raised in WA and has lived in Victoria and regional WA. She has one adult son. Whilst studying and working full time, Elise also completed the training to become a Move to Learn Program Trainer as she saw the professional application of fitness principles complementing those of Move to Learn – using movement to integrate the primitive reflexes to promote and maintain effective brain function at any age. 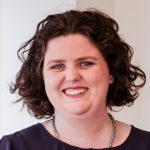 Having broad experience in working with people from a range of backgrounds and stages of life through various roles in hospitality, administration, and human resources and managing her own journey to fitness Elise can relate to others wanting to make a positive impact on their own future selves. Elise seeks to help empower others to make their desired changes, believing in our own inner wisdom, that we have all we need right now. Edna is a chiropractor who is running a family and wellness based practice. As she studies functional neurology and infant development, the connection between balanced and proper movement with brain development is undeniable. Edna works with infants to make sure they have equal movement of their head, arms and legs. This free movement allows the infant to eventually roll, sit, crawl and walk with coordination. In older children, she checks for any retained primitive reflexes that could be interfering with their posture, coordination or learning. The Move to Learn program is a great tool to be able to use when providing home care exercises for families. Edna finds the addition of the 10 movements from Move to Learn beneficial and supportive to her chiropractic adjustments. To make things interesting for her child patients, she even has a “move of the week” from the 10 gems that she does before their adjustments. Having fun in practice has never been easier. Emily has been in the Early Childhood Sector since 2008, having always known that she wanted to grow up and be a teacher. She loves seeing the spark in a child’s eyes when they understand something for the first time. Recently her focus has been on learning more to help children with learning difficulties. 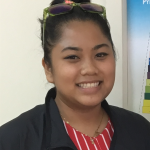 Emily has a Diploma in Teaching and is upgrading to a Bachelor in Teaching this year, she wants to be the best teacher that she can possibly be, which is one of the reasons she loves using the Move to Learn programme with the children whom she teaches. She is currently a qualified Move to Learn Trainer and is studying to become a Move to Learn Practitioner, which involves her broadening my knowledge around children with varied learning needs and techniques that can be used to help. Having played musical instruments since she was seven, music is a big part of her life and she brings music into her teaching. She is Orff Schulwerk trained – the Orff Schulwerk Approach, is a developmental approach used in music education. It combines music, movement, drama, and speech into lessons that are similar to child’s world of play. This also ties in wonderfully with movement and brain development. 50-1 & 52-1 Jalan 1/149D, Bandar Baru Seri Petaling, 57000 Kuala Lumpur. 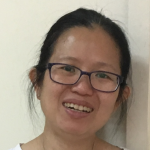 Felicia is currently pursuing her Doctorate in Music Education at the University of Malaya, emphasizing on using music and movement intervention to help children with autism to improve their psychomotor, socio-emotional and cognitive development. She has been teaching music and movement at various music centre since 1998 and has been conducting the BrainEx programme (a music and movement programme for the children with learning disabilities and autism) at Symphonia Academy of Music since August 2015. She has been incorporating the Move to Learn into the BrainEx programme to help the children with disabilities to overcome their retained primitive reflexes. Thus far, children who have gone through the BrainEx and Move to Learn programme have made a great progress and some of them even proceed to learn a musical instrument. In 2002, Felicia developed her own music and movement programme – “Pre-YMC course” for children aged 3-4 years old. This programme is known as “Music for Young Kids” (MYK) and she is currently working on integrating the concept of primitive trigger points and mysofascial techniques into her work. 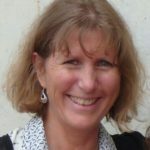 Ann holds a Bachelor of Science Degree in Psychology, General Education Teacher Certificate, grades 1-8, and Special Education Teacher Certificate, grades K-12, from the USA and has years of teaching experience in international schools in Asia. Ann currently resides in Singapore. 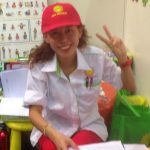 Siti is a preschool teacher at Early Learning’s Fun Preschool (a mainstream pre-school) working with young children ages ranging from 3 to 6 years old. As she is passionate to help children with learning difficulties, she sees a smaller group of students with learning difficulties once a week. Her interest in Move to Learn grew as she saw the progressions made by her students after she implemented the movements. Move to Learn helps her students concentrate better and they also become more aware of their surroundings. With the noticeable improvements, she hopes to implement Move to Learn in her classroom as part of their daily activity. Maria is a Teaching Artist, Opera Singer, HealthRhythms® Facilitator, Move to Learn™ Trainer, and Creator of the Remo Affiliate Program Flexity Jig®. She holds a B.A. 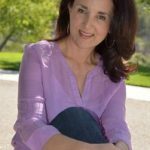 with honors in Research Psychology and is published in the field of Cognition/Neurolinguistics, is a trained HealthRhythms facilitator, is the first US Certified Move to Learn Trainer (Sydney, AU), and is trained in Orff Schulwerk, Dalcroze, Brain-Compatible Dance Education and Rhythmic Movement. California-based, Maria provides her brain-compatible music/movement programs to all ages from infants to seniors. She specializes in working with high-risk/trauma populations by focusing on the use of neuro-reflex based creative dance, group singing, sound therapy, and drumming. As an opera singer, she has performed as soloist in opera, oratorio, musical theatre, and in recital in both the USA and Europe. Maria is the creator of the Remo Affiliate Program, Flexity Jig – a neuro-reflex based voice-body movement game that boosts learning, focus and creativity. She also recently did a series of 3 interactive (“press and play”) videos for Remo using vocal play and 3 movements from Flexity Jig (Breath, Core-Distal, Lateral Sides) with Remo’s big therapy drum table. There are free downloadable cue cards. These are interactive movement videos for seniors featuring Anne Greene Gilbert’s 8 pattern BrainDance with Teaching Artist, Maria Simeone. Easily adaptable for all ages and for classroom use. Produced in sponsorship with Segerstrom Center for the Arts and Alzheimer’s OC. Closed captioned in Spanish with PDFs in English and Spanish of all 8 BrainDance patterns.